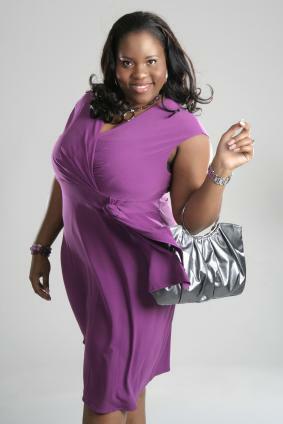 Many women over size 12 wonder what kind of handbag for plus size women makes the most of their assets. Just like with pieces of clothing, accessories can help emphasize your good points and minimize areas that you want to draw attention away from. With some smart shopping, you can find a handbag that works with your figure instead of against it. These days, plus sized bags come in many different styles from conservative to very trendy. So, What Kind of Handbag for Plus Size Women? When you're shopping for what kind of handbag for plus size women you have to remember that scale is everything. If a bag is too small, it can make you look very large. You need to scale your purses, shoulder bags and clutches so that they are in proportion to your figure. You shouldn't buy anything that overwhelms your body but you should try to avoid teeny, tiny totes. The smaller the bag is, the larger you look. You should also look for bags that have ample straps for you to fit your arms through. Some women have trouble with smaller sized straps. Some manufacturers make handbags with extra long straps that fit fuller figures. Although the expense might be a little more than a purse with standard straps, the cost will be well worth it. Keep in mind that dressing in a single color can de-emphasize your problem areas, but this rule doesn't apply to your handbag. If you are timid about wearing bright colors and loud patterns, a handbag could be your opportunity to add a little punch to your wardrobe. The best way to find a handbag that will complement your figure is to shop in person. When you shop for a purse, you can try it on in front of the mirror and get a good idea of how the purse relates to your body type. Pose with the purse in front of a full length mirror and take note of how it relates to the rest of your body. Be sure that it doesn't make you look larger than you are, but avoid getting a purse so big that it overwhelms you completely. It is very difficult to shop for plus sized purses online but the Internet often has great deals that you can't find in stores. If you want to try shopping online, make sure to have accurate measurements so you know what size purse will work for you. You can visit a department store and take measurements of handbags that work with your body. This way, you'll know exactly the size of purse you should look for online. Some women can find a suitable purse at a regular department store, but others like the unique details and styles that are available at plus sized stores. These brick and mortar and online shops cater to plus sized women and offer purses and other accessories. Lane Bryant - This popular national plus sized chain has brick and mortar stores as well as an online shop. They offer a variety of purses built for larger frames. Torrid - This youthful plus sized chain store has handbags with punk, gothic and trendy styles. They have stores in metropolitan areas and an online shop. Fashion Bug - This store has a wide variety of trendy, classic and seasonal bags to choose from. You can purchase them in person at one of their stores or order online.